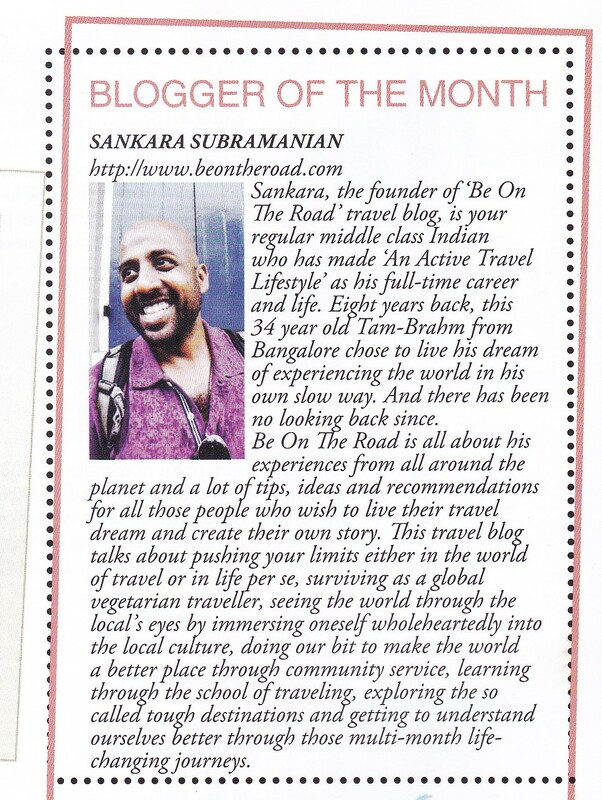 Youth Incorporated Magazine Features me as ‘Blogger of the Month’ - Be On The Road | Live your Travel Dream! Today is a ‘Happy Happy Day’! I just received a copy of the May issue of Youth Incorporated Magazine and yours truly is featured as ‘Blogger of the Month’ on Page 10. 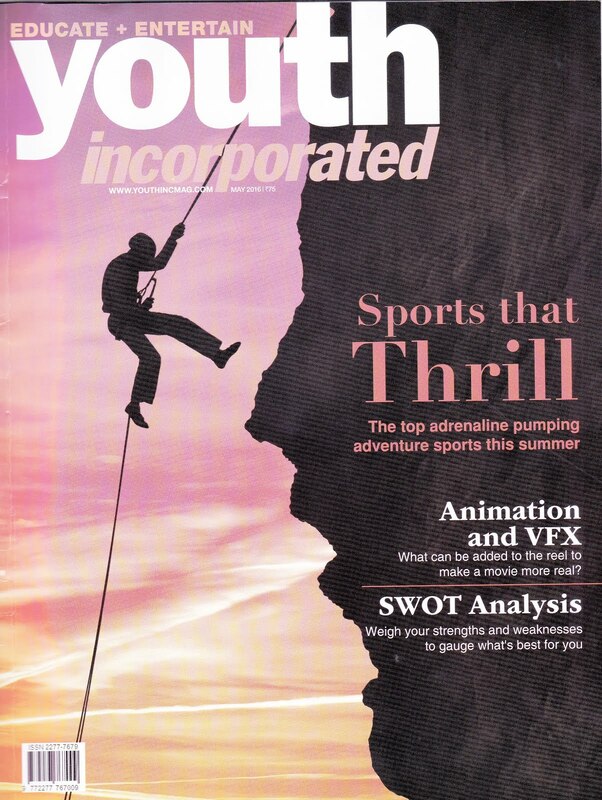 Youth Incorporated Magazine is India’s leading edutainment magazine that focuses on educational stories and careers for students in the country. This May issue is focused on Adventure Sports in India. This feature is doubly special for me as it connects with my thirst for adventure and the fact that I love to teach the world about my learnings from my various sojourns from across the world. Do check out page 10 if you happen to pick up this magazine. And a big thank you hug to all of you for showing your faith in me!